Pioneering gay rights activist Harvey Milk was assassinated 35 years ago today on Nov. 27, 1978. Milk is the first* and most famous openly gay male elected official in California, and perhaps the world. 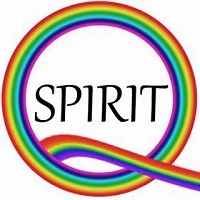 He became the public face of the LGBT rights movement, and his reputation has continued to grow since his death. He has been called a martyr for LGBT rights -- and for all human rights. Milk has received much recognition for his visionary courage and commitment to equality. In 2014 the U.S. Postal Service issued a stamp in his honor, with the rainbow colors of the LGBT pride flag appear as a vertical strip in the top left corner. Other LGBT people have appeared on U.S. stamps, but this is the first to feature someone specifically for LGBT activism. He is the only openly gay person in the United States to have an official state holiday in his name. 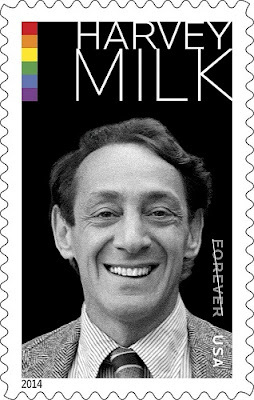 Harvey Milk Day is celebrated in California on Milk’s birthday, May 22. The bill establishing Harvey Milk Day was signed in to law in fall 2009. State employees still have to work on Harvey Milk Day, but California public schools are encouraged to teach suitable commemorative lessons about the gay rights activist. Two Oscar-winning movies have been made about his life, the documentary “The Times of Harvey Milk ” (1984) or the biographical drama “Milk ” (2008), which stars Sean Penn as Milk in an performance that won an Academy Award for best actor. The movie tells how he rose to become one of America’s first openly gay elected leaders, only to be killed by an assassin’s bullet. Directed by Gus Van Sant, the film got eight Academy Award nominations. The definitive book about his life include “The Mayor of Castro Street ” by Randy Shilts. Milk’s assassination is juxtaposed with Jesus falling under the weight of his cross in the image at the top of this post: Station 9 from “Stations of the Cross: The Struggle For LGBT Equality” by Mary Button. Using bold colors and collage, Button puts Jesus' suffering into a queer context by matching scenes from his journey to Golgotha with milestones from the last 100 years of LGBT history. 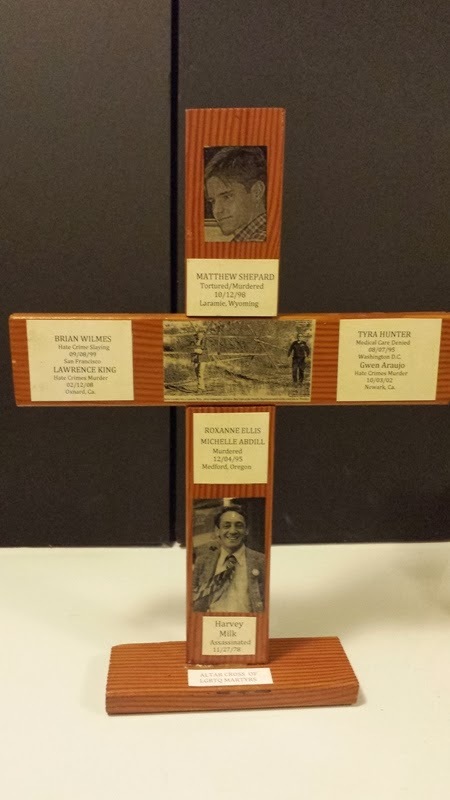 For an overview of all 15 paintings in the series, see my article LGBT Stations of the Cross shows struggle for equality. The Harvey Milk icon painted by Robert Lentz (also pictured above) was hailed as a “national gay treasure” by gay author/activist Toby Johnson. Milk holds a candle and wears an armband with a pink triangle, the Nazi symbol for gay men, expressing solidarity with all who were tortured or killed because of their sexual orientation. It is one of 40 icons featured in the book “Christ in the Margins ” by Robert Lentz and Edwina Gateley. Lentz discusses the icon in a YouTube video. 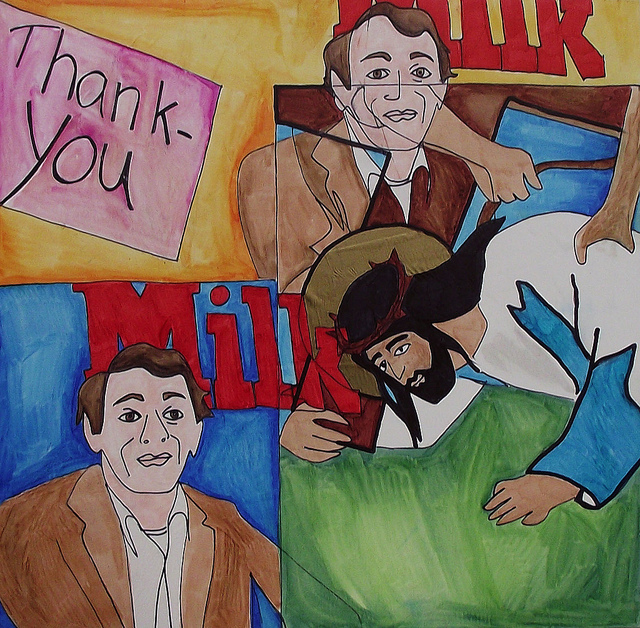 Such paintings have been criticized for portraying Milk, a secular Jew, in a style rooted in Christian tradition. Milk was critical of how religion was used to oppress LGBT people, stating, “The fact is that more people have been slaughtered in the name of religion than for any other single reason. That, that my friends, that is true perversion!” And yet Milk has become a symbol of all martyrs who died in the struggle for LGBT rights. The Altar Cross of LGBTQ Martyrs from Metropolitan Community Church of San Francisco features photos of Matthew Shepard, Harvey Milk, Gwen Araujo and others. "If the Kennedy assassination is America's tragedy, then Harvey Milk is our Kennedy. His death matters."